Please describe the Bellari concept. 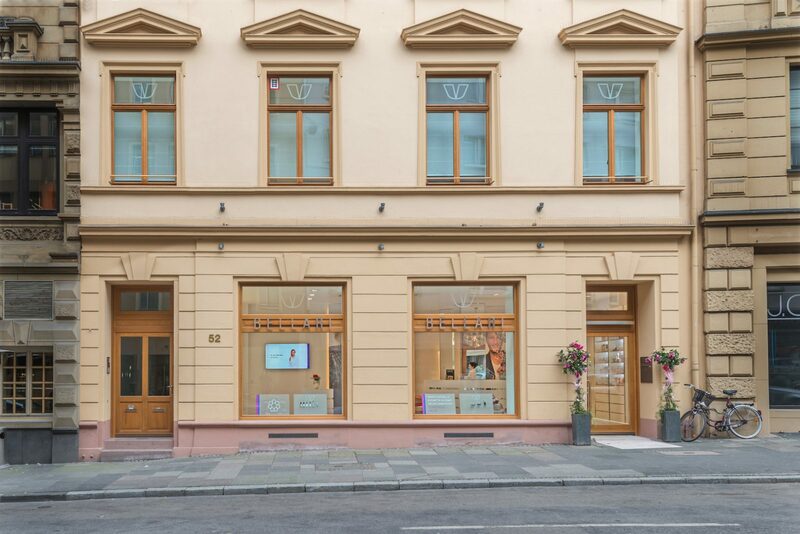 To be closer to patients, we wanted to bring to the city centers the aesthetic medicine which we have practiced successfully at the Rosenpark Klinik for many years. 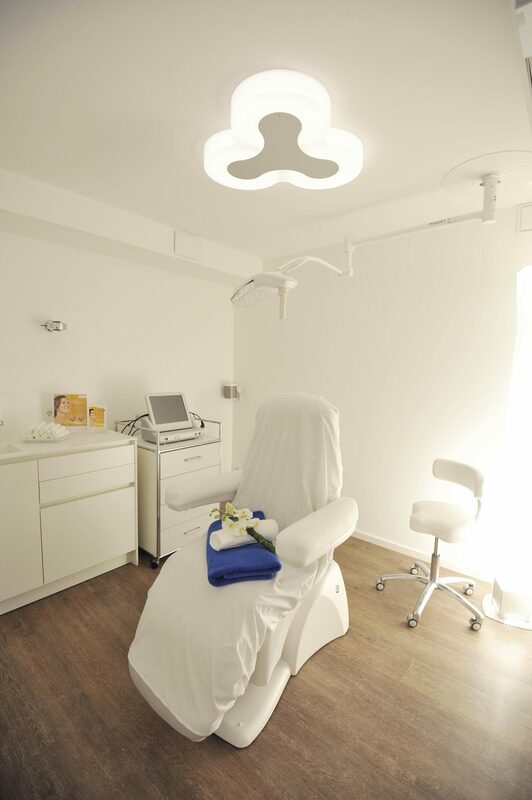 On the medical side, only minimal invasive treatments are carried out in the Bellaria, without operations such as those performed in the Rosenpark Klinik. The Bellaria institutes are always divided into two parts: The first is the cosmetic part, in the ground floor shop where there is a compact, high-quality range of care products. On the next level there is a medical area in the form of a private practice. How many locations are there so far? 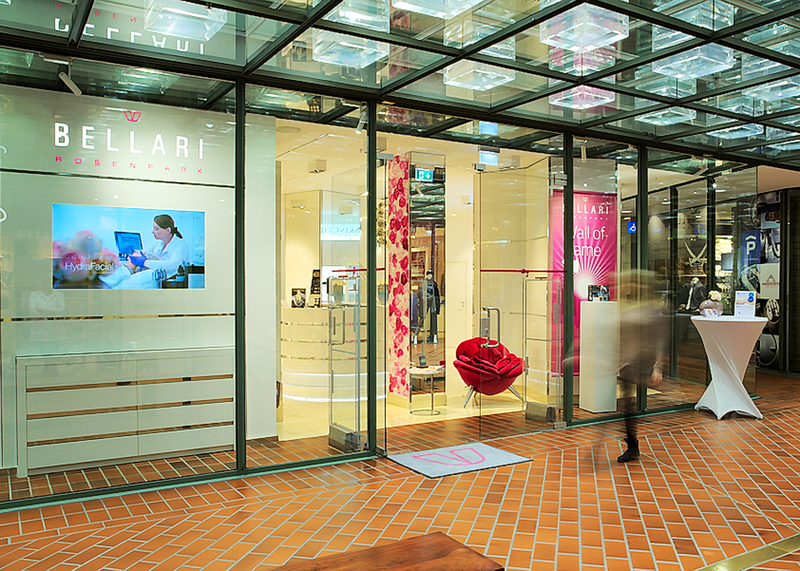 We opened the Bellari in Frankfurt, our flagship so to speak, in early 2016. In June 2016, the second one followed in Hamburg. Our goal is to expand the concept to eight locations in Germany. Later on we plan to open Bellaria in European metropoles such as London and Paris etc. How close is the connection to the Rosenpark Klinik? We bring the Rosenpark Klinik know-how to the institutes and offer a treatment concept which combines care and medicine. 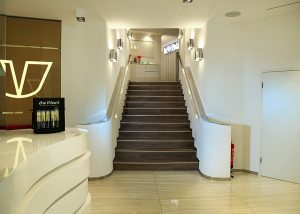 A doctor from the clinic is on hand at the Frankfurt institute every day, including Saturdays, and there are two permanent doctors in Hamburg, one of whom commutes between Hamburg and Frankfurt. I am in Frankfurt one or two days each week and in Hamburg twice a month. How did you come up with the name Bellari? We received professional advice in the naming process. We wanted to have a name that sounds beautiful, that fits our beauty concept, and which captures the imagination. My husband found that Bellari, like Armani, is an easy name to remember. What spectrum of treatment do you offer? In the medical field, in addition to advice on fillers, Botox and lasering, we offer non-incision body treatments such as cool sculpting. Treatments from skin diagnosis to various facials for Him and Her to eyebrow correction and a wide range of make-up are available in the cosmetic sector. Our highlight lies in the combining of different modern technologies. For example, for the treatment of wrinkles on the inside of the upper arm we use a minimally invasive combination of diluted Radiesse for collagen stimulation, and radio frequency or Ultherapy. With Universkin, we have a care product that can be blended for each patient individually. 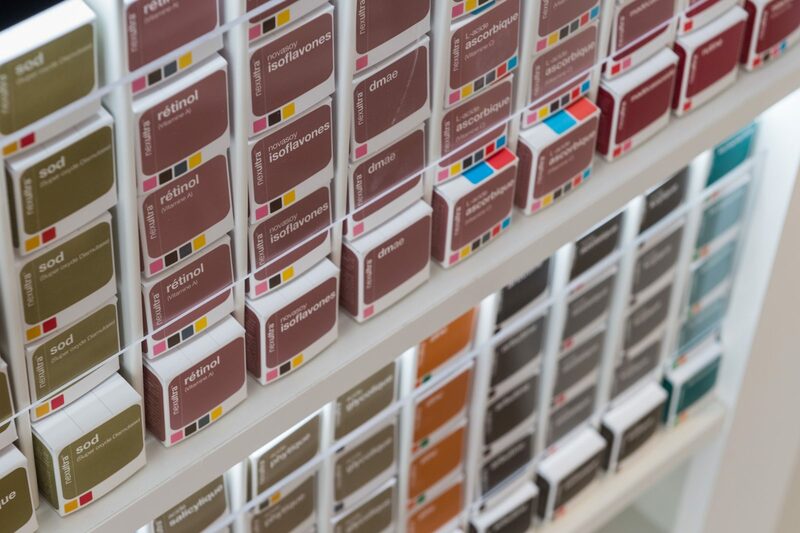 Depending on the skin’s needs and current condition, the practitioner can choose from 20 different active ingredients. For example, vitamin A (as an anti-aging measure), salicylic acid (in the case of acne), or ferulic acid (for dynamization) are added to the basis of a serum. 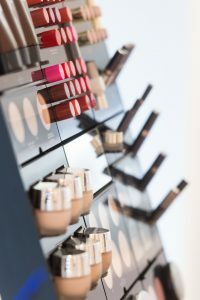 Is the beauty range the same at all locations? Yes, we sell the same products everywhere. We also try to offer the same equipment technology at all locations. 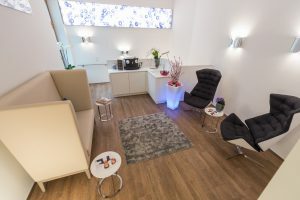 In addition to the doctors, there are seven employees in Frankfurt (3 beauticians, 2 medical assistants and 2 receptionists); in Hamburg there are five members of staff (2 doctors, 2 beauticians, 1 receptionist). You offer “integrated skincare”. What does this mean? This term requires a lot of explanation and many customers don’t understand it right away. “Integrated Skincare” is the care that we recommend for the skin after minimal invasive therapy. This is of great importance to the success of the treatment, hence “integrated”. Especially after lasering, is essential that the wrong skin care is not used. Which clientele do you address? The institutes are located in more up-market areas. However, since appointments with us can also be booked online, we appeal to young clientele as well. 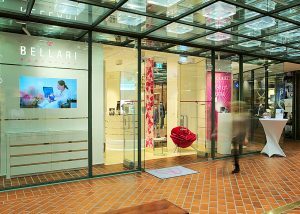 I would describe the typical Bellari customer in Frankfurt as a successful businesswoman in her mid-30s who travels a lot. Our clients come from this area, people for whom Darmstadt is too far away for a Botox injection or a laser treatment. 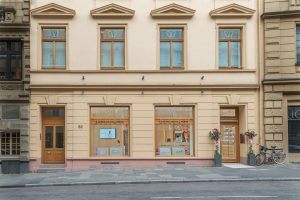 Since the institutes are situated in the city centers, we have quite a number of walk-in customers as well as tourists who ask to be treated right away. In any event, an intensive consultation takes place first. How high is the proportion of men? Higher than at the Rosenpark Klinik. Not only homosexual patients visit the Bellari. We also have bankers who come in for a Botox injection or a cosmetic treatment during their lunch break since this takes much less time than travelling to Darmstadt. 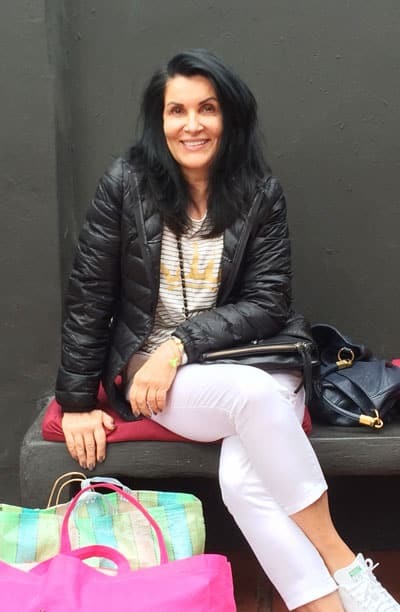 Is Bellari’s customer loyalty higher than at the clinic? I don’t think so. Interestingly enough, we had many doctor-hop-off customers in the early days. In the meantime, we have more and more new and first-time patients who have had nothing to do with aesthetic medicine up to now. Most of them initially book a cosmetic treatment and then come to us doctors. 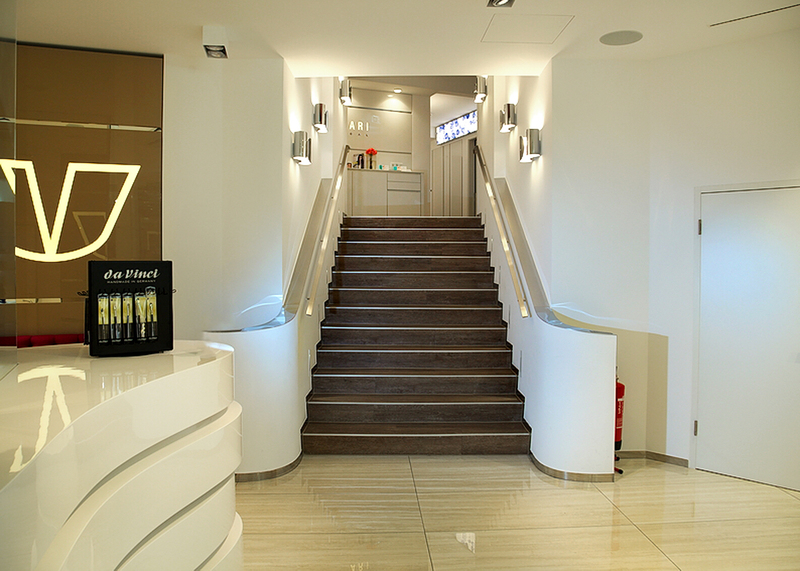 In the beginning, we also redirected patients from the Rosenpark Klinik to the Bellari if they lived in Frankfurt. In the meantime, the Bellari has become so well established that we also have make-up tables set up at all major events in the city.